I’m referring to a method where everyone prepares their meals at home separately and then brings the freezer-meals to an “exchange meeting.” It would be a bit more difficult logistically for a group cooking day where everyone joins together to cook in the same kitchen — although I’ve heard of that option being used for groups cooking in church or community center kitchens. If there are ten people in your cooking group, everyone would prepare ten (10) family-sized portions of one recipe. Then the group would get together every ten days or so to exchange meals. To discover meals that most people in the group would like, ask each group member to list their three family favorite meals, or what they frequently serve to company. 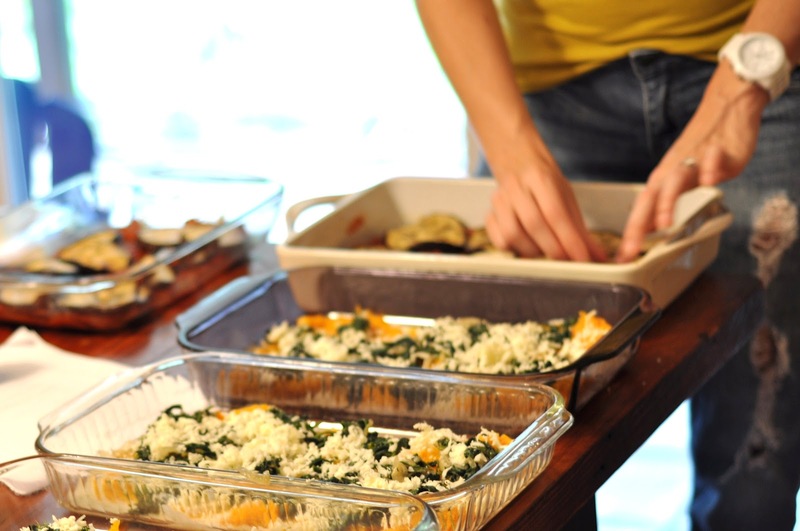 This potluck technique works well for the people I know who have tried it each family gets a variety of frozen meals without one person having to do all the cooking by themselves.